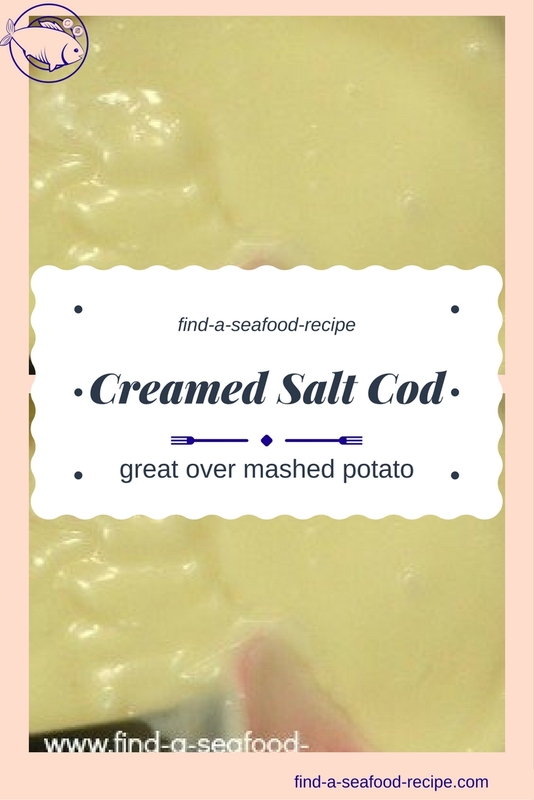 I had an email from Joe asking me if I could find a creamed salt cod recipe. His grandma used to make it and she got the fish from wooden boxes at the market. Get a middle piece of salt cod and when it's soaked, feel all along the fillet to remove any bones. It will be soft and pliant after soaking, just ready to pull apart into bite sized pieces. 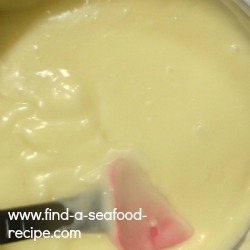 This is so lovely, if you can't find salt cod but are desperate to try this, then you can use smoked haddock or cod which will give a very similar result. Change the water frequently and keep it covered or the whole refrigerator will smell of fish. Remove the bones and skin and pull the cod into chunks with your fingers. Put water into a pan to cover the cod. Bring to a simmer, put a lid on the pan and cook for about 30 minutes - the cod should be tender, but give it a bit longer if it's not. Make the sauce - melt the butter, stir in the flour and cayenne pepper. Cook over a low heat for about a minute, stirring all the time. Slowly add the milk - beat in a little at a time and continue to cook over a low heat, stirring constantly so that the sauce doesn't go lumpy. Cook the sauce for about 5 minutes - it should be fairly thick. 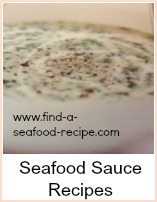 Drain the fish and put it into the sauce and serve over creamy mashed potatoes. You can also bake the salt cod if you prefer. You cut your potatoes into small dice, parboiling them for about 15 minutes. Then you mix the whole lot together, salt cod, sauce and potatoes and pile it into an ovenproof dish. Bake at gas Mark 7 220C for about 30 minutes until it's all bubbly and golden tipped. 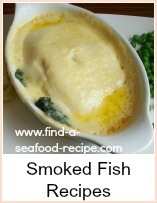 If you can't find salt cod, then try smoked cod or smoked haddock - just forget the soaking part and you will only need about 5 minutes cooking time on the stove to make the fish tender. You'll need to soak the fish for a day, preferably two days to reduce the salt, but once you've done that, it's a lovely hearty meal. Serve over mashed potatoes. 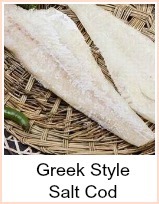 If you can't find salt cod, then try smoked cod or haddock for a similar taste with a lot less waiting time.